On a bus ride in West Los Angeles, I was distracted by a young man who stood near me with his underpants exposed. It was right there in my face: a garish, orange-red, silky boxer briefs. 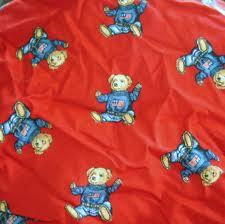 Then…I noticed the teddy bears, dressed in blue, all smiling at me. Teddy bears! What kind of young man wears teddy bear underpants? What kind of young man exposes his underwear? I glanced up at his face: early twenties, taut features, serious expression, backpack slung over a shoulder. Eastern European immigrant? He appeared too engrossed in his own thoughts to notice my scrutiny. When I first saw a young man with the waist of his pants hanging near his crotch, exposing his underpants, I was walking on a street in West Hollywood on my way to work. As a newbie in Los Angeles, I found such indecent exposure among males disturbing. Fearful that he was drunk or on drugs, I crossed to the other side of the boulevard. Over time, I observed that this form of male display was prevalent among young hip-hop fans. When I questioned a young Afro-American colleague at work, who wore a long baggy shirt to hide his saggy pants, he could not give me an answer. That’s the way it is. Is sagging a “cool” fad that will disappear with time? Do these saggers dress this way to fit in with their social group, the males in their neighborhood? Is it just an act of rebellious young males? Are these young men trying to attract a like-minded mate or are they simply screaming for attention and love? Is this behavior something more serious: a soft form of mooning, intended to demonstrate disrespect and scorn for society? Whatever the reasons for this behavior, I view sagging as warts on the hand or foot of the human body. sagging as you put it is an expression especially by young black males towards their society.It’s an expression to show defiance,disagreement,distrust towards mainstream society. In Los Angeles, it’s also common among young Hispanic/Latino males. I’m reminded of words from ancient Greece bemoaning the younger generation – it seems a constant in human affairs. However, in this case, I think it is more than a combination of defiance and identity, there also seems a hopelessness about it to me. Greece, then, and even now was a homogenous country and America, for all our talk of “melting pot” has become more and more splintered. I love my friend’s observation that the sagger “can pull up his pants any time he wants to do it” because it’s self-imposed.